If you’re the type of parent who believes in a less is more philosophy, then we’ve curated the best minimalist baby gear list just for you. These are products that are practical, functional, and necessary. The baby gear you use, again and again… not the fancy niche products that sit on the shelf gathering dust and taking up space. Plus when we think about minimalism, we also think about leaving a smaller footprint on the planet. We tend to move away from plastics, and look for more recyclable materials. Minimalist baby gear also means stuff that isn’t disposable. It’s items that are sustainably made, or utilitarian products that can be put to more than one use. So without further ado, here’s our list of the best minimalist baby gear. 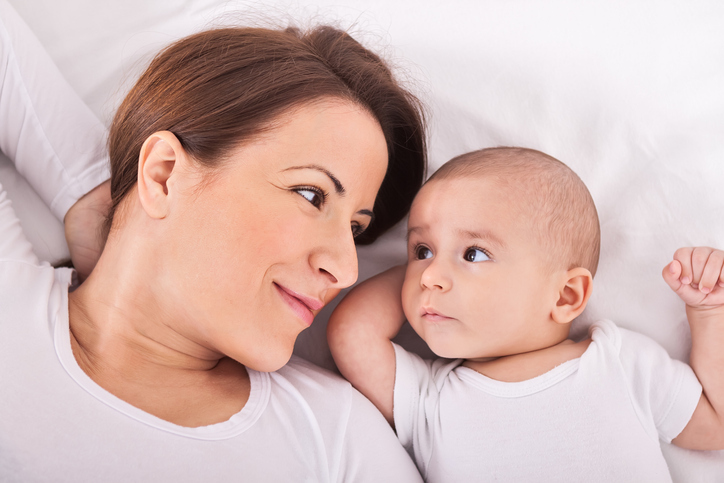 These are the baby essentials every new mom needs. This is one of those newborn necessities every new parent needs. In fact, you can’t leave the hospital without one! 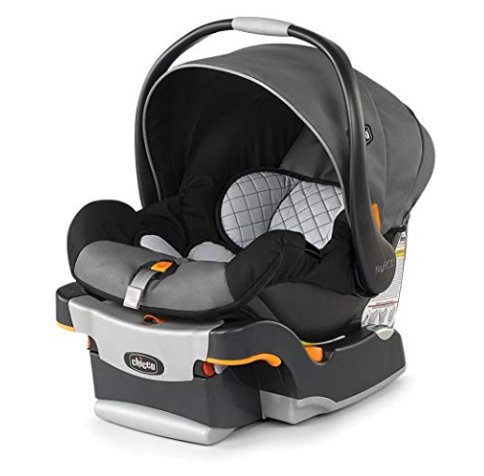 The Chicco KeyFit30 infant car seat is a great choice. The base is simple to install and has just one tightener in the middle that pulls it securely in place. Plus, the KeyFit adapter works on most strollers, so you can leave the car to run errands without disturbing your little one’s slumber which is a game-changer! Talk about multitasking! The 4moms Breeze Plus Portable Playard with Removable Bassinet and Changing Station is three pieces of essential baby gear rolled into one. The Breeze is primarily meant for use as a travel crib, for which it gets top ranking for its convenient travel bag and easy set‐up. 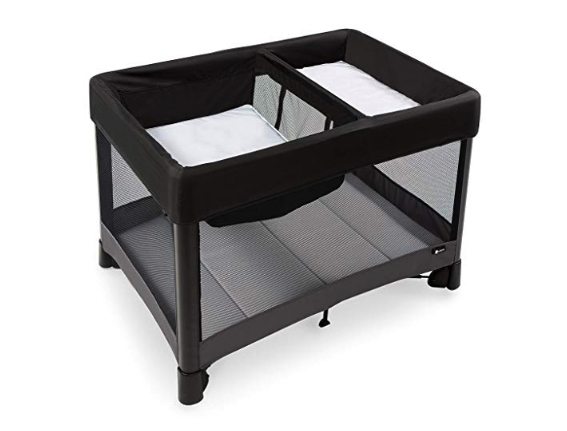 However, with the included removable bassinet and waterproof changing pad, it can also function as a changing table, bassinet and play yard. This product can save you a ton of frustration, space, and best yet, money! Leaking while breastfeeding is not a good time. There are lots of cloth nursing pads on the market, but we’ve found a lot of them leak. 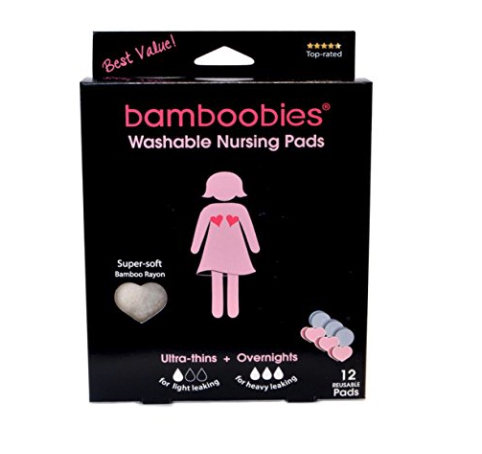 These Bamboobies nursing pads don’t. Plus they’re reusable and easy to wash. You can just throw em’ in with your regular laundry! 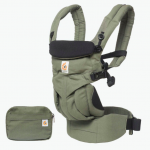 If you’re going to buy one baby carrier, the Ergo Omni 360 is it. 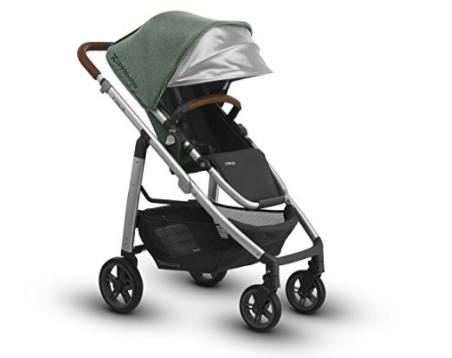 The Omni will take you from newborn to 36 months, no insert needed. The custom fit options means it will fit any body type, from petite to large. 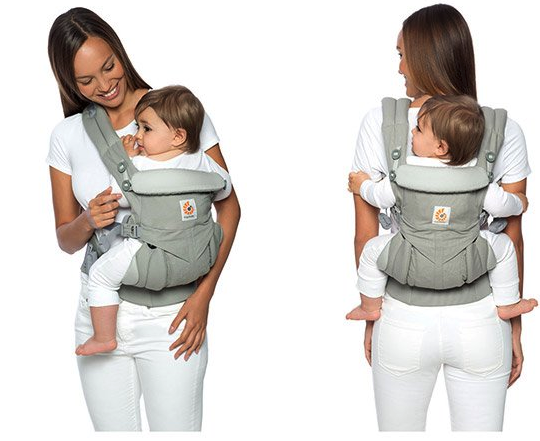 With multiple carry positions available, you’ll be able to carry your baby pretty much anywhere, and any way you need to. There’s a reason the onesie is a baby staple, cuz’ they’re so darn comfortable and versatile! This is the definition of minimalist baby clothes. In summertime babies can get by just wearing a onesie. And in winter, they’re a great layer to put on under warmer outerwear. 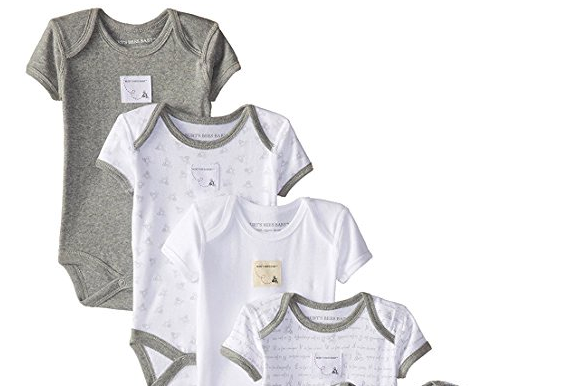 These onesies by Burt’s Bees are 100% organic cotton and have flat lock seams to reduce chafing. 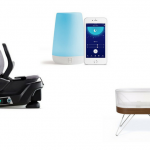 The Hatch Baby Rest may not look like what you think of when you think “minimalist baby gear”, but hear us out. It’s sooo much more than just a nightlight! 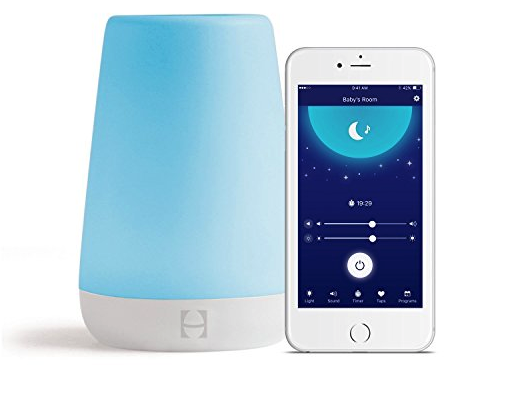 It’s also a white noise machine, a lullaby player, and a time-to-wake alarm clock…all controlled by your smartphone. This is the ultimate multi-tasker! Forget about buying a changing table, slap an inexpensive foam changing pad on a regular dresser and you’re good to go! For more protection from falls, you can place the pad inside a wood changing tray that sits atop the dresser. Better yet, always use the safety straps on the pad. 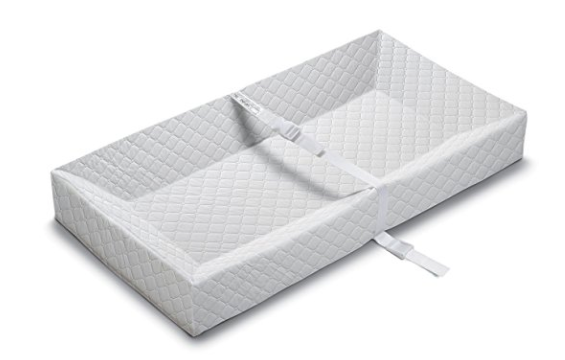 This Summer Infant 4-Sided Changing Pad is a solid choice. DockATot is and has been a favorite baby product of ours for a while. It gives your little one the soft, snug feeling they love. But what’s really cool about DockATot from a minimalist baby gear perspective is it’s simple, clean lines and multiple uses. You can use it for cuddling, play, tummy time, supervised sleep, even diaper changes in a pinch. We love how versatile the product is! That’s what makes it one of our baby necessities. The Gunapold Swaddle Sack is an incredibly soft swaddle with five different swaddling options. It’s the only swaddle that allows you to change your baby’s diaper while they’re still wearing it. It also features a temperature control zip, easy but secure Velcro closures, and it’s crafted from bamboo so it’s naturally thermal regulating. Brilliant! The Stokke Trip Trapp high chair is a minimalist’s dream come true. In fact, Stokke is well-known for their minimalist furniture designs. This high chair compliments any minimal, modern space, and its brilliant design grows with your child, providing a safe, comfy seat at any age. It can even hold a full-grown adult. Seriously, we tried it. This chair is built to LAST! 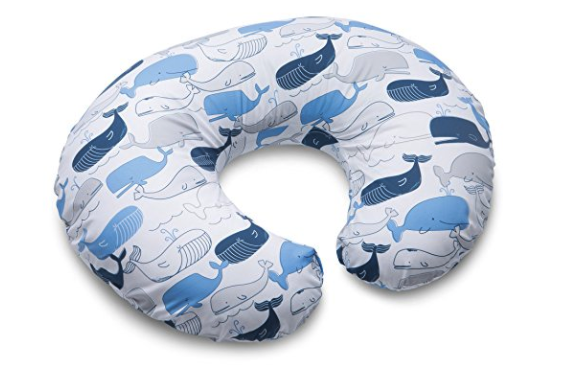 A Boppy Nursing Pillow is very helpful, particularly if you’re a first-time nurser. It’s also really versatile and designed to support baby as they grow. 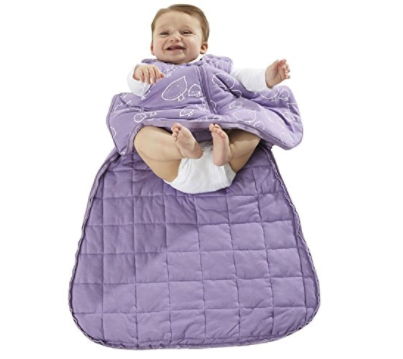 It can be used for propping, tummy time and sitting. The cover is removable and washable so clean-up is easy. We know moms who’ve bought one Boppy and been able to use the same pillow for their second child because it holds up so well. This will be a well used product in your nursery. 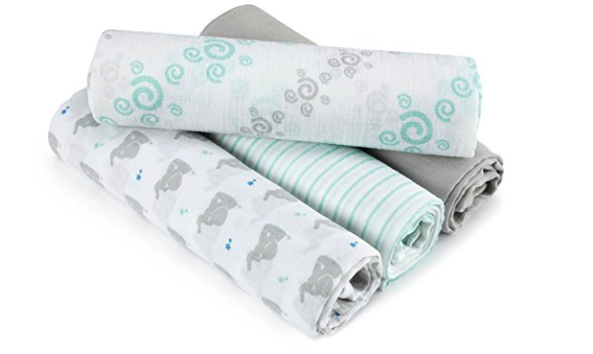 Muslin swaddle blankets, like the ones from Aden + Anais, are great multi-use products to add to your arsenal. Regular swaddle blankets are often too small to get a good swaddle. Muslin blankets are lightweight, breathable, slightly stretchy and large. Besides swaddling, you can use them for a whole host of things! They can be a nursing cover, spit rag, light blanket, sun visor over a stroller….you’ll want a few of these in your diaper bag at all times. When it comes to strollers, for the short term the handiest choice is a car seat carrier— essentially a frame with wheels onto which you snap an infant car seat. However, your baby will outgrow it after about six months. A longer-lasting option is a traditional stroller that holds an infant car seat. Look for an adjustable handlebar height, as well as easy maneuverability and multiple reclining positions. The ability to lie flat is a must with newborns. Our choice for minimalist baby stroller is the UPPAbaby Cruz because it meets all these criteria and it’s sturdy with an easy one-step fold. This will last you longer than a car seat carrier! SHARE this list of the best minimalist baby gear with friends on Facebook and Pinterest by clicking the buttons below.